The alternative / indie rock band ROOFTOP RIOTS consists of five young men with a wide range of musical backgrounds. All of them have played their instrument in several bands with different styles and now they’re fusing their characteristics and writing songs which fit to every single member of the band. Four of them study Sound and Music Production, that’s also where they met and founded. It’s highly interesting for they all respect each other and learn from each other. Phil Beryn (Vocals): He stands for solid rock music and knows what he’s doing having studied his skills at the Future Music School in Aschaffenburg. Le Linné (Guitar): He’d played in metal bands before but has developed a huge sense of musical feeling and actually contributes an indie touch t (...) Mehr anzeigeno the band. Jan Glue (Bass): He’s the one gluing all of them together musically and with his organization and communication skills. Van Botsch (Drums): He’s the patient type responsible for rhythm and timing. Also having studied his skills at the Future Music School he contributes several rhythmic styles. 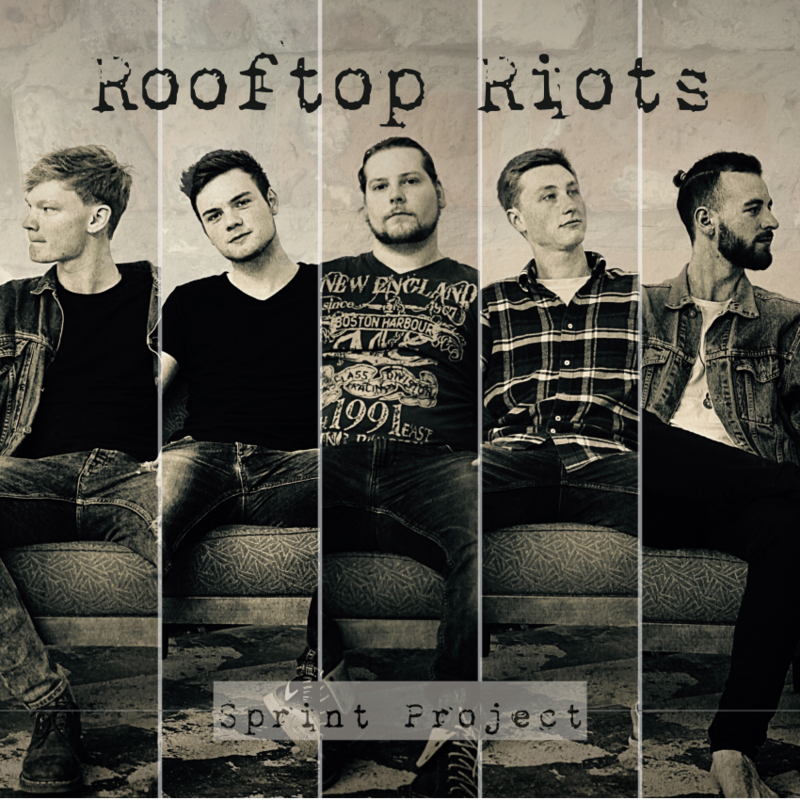 ROOFTOP RIOTS founded themselves in October 2016 and have already produced a five song EP called sprint project. Always working on the next step of their career they’re still having a great time together and lot’s of fun.